especially nice for jumping to the center of a loop. 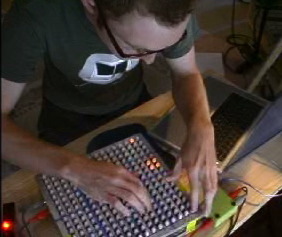 Brian uses Max/MSP, but Ableton Live, sampling programs, and the like would be strong candidates, too. want, you can always build your own box a la Midibox.